I knew I wanted to be in HR when I was a child. The only problem was I didn’t know what it was called. As the older, middle child, I had a little position power, but most of what I got done was through influence and negotiation. As I grew, I worked in several small businesses, finding that each had issues with hiring, retention, benefits, training, etc. By that time I was thinking about college, so I figured I’d go and learn about management and how to solve those issues so I would be in demand forever. When I was in my early days of college, a professor asked me to write a paper on this thing called “human resources,” which I had never even heard of. I’d always worked for small companies with no HR team. As I started researching, I got more and more excited. This was exactly what I’d always wanted to do, and there was a whole profession around it! I jumped in with both feet and never looked back. Over time my career has taken that wandering quality that most of us are familiar with, but I made myself a promise early on. That was like a punch in the gut, but I used it to fuel my learning and growth so that I could get out of there as quickly as possible finding a company that actually appreciated its employees and the HR team by extension. I promised myself that no matter what happened, I would never let myself get to the point of being like that person that spoke to me all those years ago. I have been blogging since 2009, and I enjoy writing, speaking, and training on HR, leadership, culture, and humorous topics (this job is tough enough without the laughs, right?). I started writing because I wanted to help make the HR profession better, one HR pro at a time. Since then, I’ve built a community of over 1,000 5,000 20,000 monthly readers, written over a dozen eBooks, and co-founded an HR unconference. Now I run a business focused on helping HR technology vendors and service companies understand how to connect with the HR audience. Read below to learn more about me, my journey, and what I do. And now, by virtue of reading this, you’ve joined the community. Let me just say: welcome! So, what do I need from you? If you like what you see, I’d love it if you would subscribe for free updates. There are two options on that front. The only other thing I ask is that you drop a comment now and again. I wouldn’t dream of asking for one on every post, but if one hits you the right way and you’d like to respond, it’s very easy to do so at the end of every post. And if you’d like to get that personal touch, I’m always available to chat via email. Hope to see you again soon! upstartHR was created as a resource for “in the trenches” HR professionals to grow in their craft and remain passionate about the HR field. I cover many topics on upstartHR, including book reviews (leadership, management, recruiting, HR, etc. ), best practices, what it’s like running and working in a small HR department, recruiting tips and techniques, innovative ideas, and more. I’m also a big proponent of HR certification and have developed resources and tools (some free, some not) that practitioners can use to prepare for, and pass, the PHR and SPHR exams. Together, we can push HR to its rightful place as a strategic business leader. When I started writing, my fiery passion attracted many followers who had been in the profession for some time but had lost their “spark.” I still write with the intent to challenge others to never be content with their own level of success. I truly believe we should all be learning and growing daily, and if we want to remain competitive and innovative, we must cultivate a sense of continuous personal development. I have created several free PDF guides and tools to help my audience run a smarter, stronger HR team. If you’re interested in contacting me with a question/comment/request, I would love to hear from you. Shoot me an email, and I will get back to you as soon as possible. Due to a large volume of email I can’t always respond to every request in a timely manner. 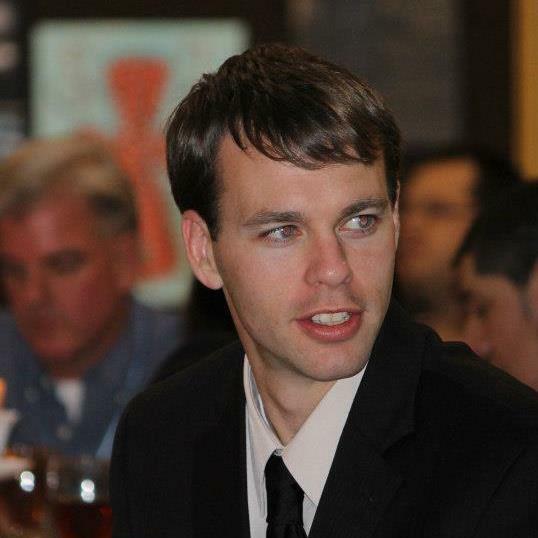 My name is Ben Eubanks, and I’m a human resources professional, speaker, and blogger (obviously!) from Huntsville, AL. I love what I do, and I try to pass a bit of that spark onto everyone around me. Some of the questions I’m often asked are below. If anything’s missing that you’re curious about, just send me an email. I’ve been around businesses since I was a child. My parents own a small company, and they have always had issues with hiring, retention, and compensation. I just thought those types of issues were ubiquitous. When I got to college (planning to major in management), one of my professors assigned me a paper on HR. When I started researching, I realized that there really was a field out there that dealt with the issues I witnessed for years. Up until that point, I had never worked in a company large enough to have an HR department! I picked HR management as my major and never looked back. What qualifies you to talk about HR? I received my B.S. in human resources management in 2008, and I have my SPHR and SHRM-CP certifications. To be honest, that doesn’t qualify me in the slightest. What really qualifies me to talk on this stuff is the fact that I truly enjoy what I do and want to see others be successful in their own HR/recruiting/leadership roles. I’ve been a practitioner. I’ve done this stuff. I’ve been accountable for the metrics, the results, and the repercussions of my decisions in the HR space. In addition, I’ve worked with and learned from some of the most amazing companies in the world that are doing leading edge work in talent, learning, and HR. As of June 2016 I took over Lighthouse Research. We are a research and advisory services firm supporting some of the best companies in the world. Find out more about what I do and connect with me on LinkedIn here. What “else” do you do? I cofounded and help run an unconference for HR and business leaders. I have volunteered with my local SHRM chapter since 2009 in a variety of capacities. I’m a speaker. Plus, my amazing wife and I have four of the world’s best children. How cool is that? I enjoy running, reading, and writing. Welcome to you! I’m excited to see how your blog takes off. You have a lot to offer as you bring innovative ideas to the world of HR. Best of luck! Simply put: Ben’s blog WILL be successful. Jump on the wagon now before everybody’s talking about it.